A couple of years ago, I test drove a Chevy Volt downtown at a special event at the state capital. I was impressed at how smoothly it handled but really hadn’t thought much about electric cars since then. Then I noticed a charging station at Springfield Electric recently and another at the new Hy-Vee on S. MacArthur Boulevard. Turns out, there are quite a few around Springfield. 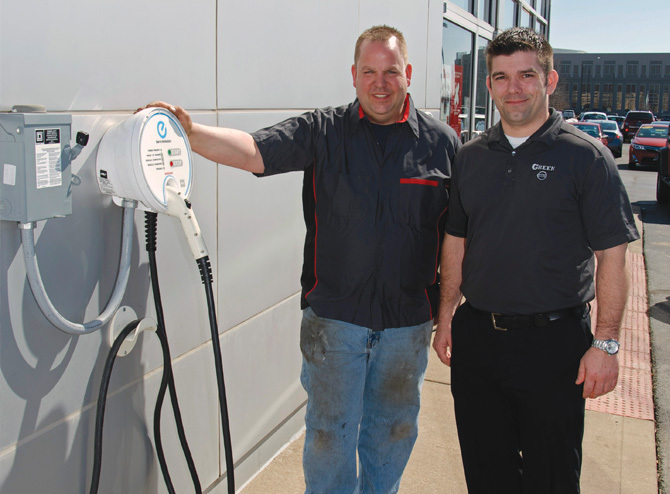 Springfield Electric (700 N. Ninth St.) has had its battery-charging station for two years. 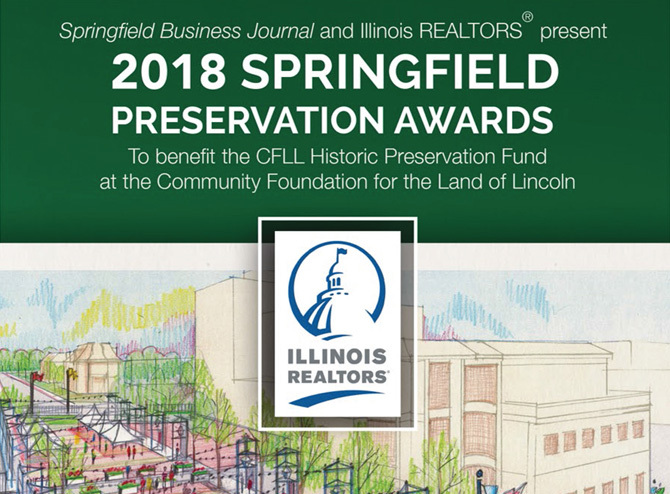 The company instituted an energy solutions team three years ago to facilitate energy savings, according to Darren Volle, LEED Green Associate at Springfield Electric. Volle, who drives a Ford Fusion Energi hybrid, charges his car at work. Often electric car owners with jobs in the neighborhood leave their cars to charge while they are at work. “It’s first come, first served,” Volle said, “and there is no charge to charge a car.” Their charger is a universal one for any electric car. Folks who work at St. John’s Hospital or the Illinois Environmental Protection Agency will often leave their vehicles at Springfield Electric to charge while they are at work, Volle said. A fellow driving an electric motorcycle cross-country once stopped to charge his battery. Springfield Electric’s 240-volt charging station is open for use during business hours. The Hy-Vee grocery store at 2115 S. MacArthur has two charging stations. Drivers need to register with the store to use it, but there is no fee. Joseph Phegley, salesman at Friendly Chevrolet, explained that the “three t’s” determine how long a battery will hold its charge – temperature, terrain and driving technique. Typically a Chevy Volt will take four to six hours to charge on a 220-volt station. Some Volt owners charge their batteries at home, which can take 10 to 12 hours on a 110-volt power outlet, he said. Dale Wilburn, sales manager at Green Nissan, is an advocate of Nissan’s electric car, the Leaf. Green Nissan has offered the Leaf for sale since 2013, and Wilburn, who lives in Auburn, drove one to work for six months. It is a great car for those who drive short distances, Wilburn said. “If you’re going to Peoria or Chicago frequently, you’re out of luck.” The federal government gives a tax credit of $7,500 for electric car buyers, and the state of Illinois gives a $4,500 tax credit, according to Wilburn. The parking lot south of the Stratton Building has two Schneider chargers adjacent to the guard shack just off the College Street entrance, a convenient amenity for workers at the Capitol complex. There are eight Tesla charging stations in the parking lot at the Scheels store at 3801 S. MacArthur as of January. Springfield may see even more stations as the electric car trend continues – particularly if gas prices start inching back up.